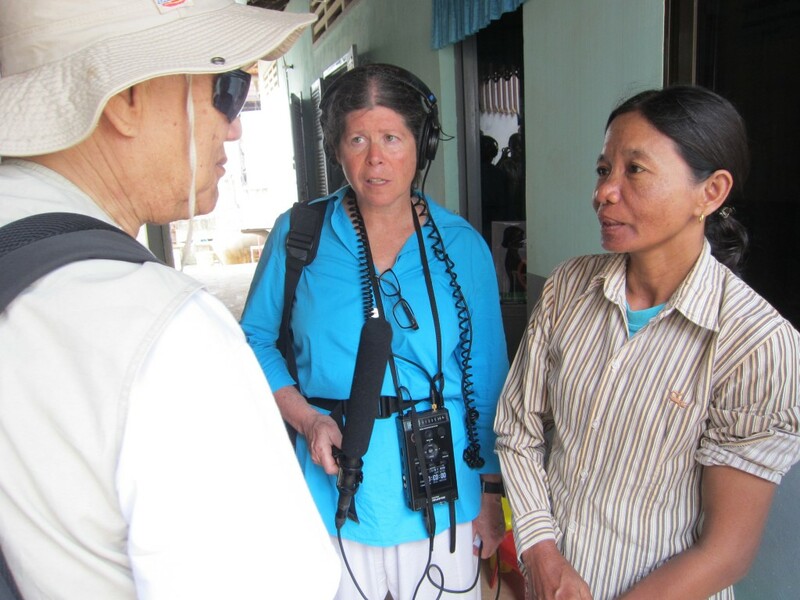 Artist in Residence Joanne Silberner has returned from Cambodia, a two week trip granted by the Pulitzer Center on Crisis Reporting to research diabetes and high blood pressure. Silberner spoke with about 20 patients affected by the diseases, The World Bank, PSI, and various physicians in the area. Photo by Kounila Keo, Silberner’s translator. Without going into the trip with any real expectations, Silberner was curious to see how Cambodians are still reacting to the holocaust they experienced about 35 years ago when leaders of the country deliberately killed the middle and upper classes, while starving the rest. Uganda, where she was last year, went through a similar problem, although a bit smaller, but the impact was just as great. Silberner said she doesn’t think they are necessarily living in fear, but that they’re living with fewer expectations and feel as if they can’t plan for good things to happen. 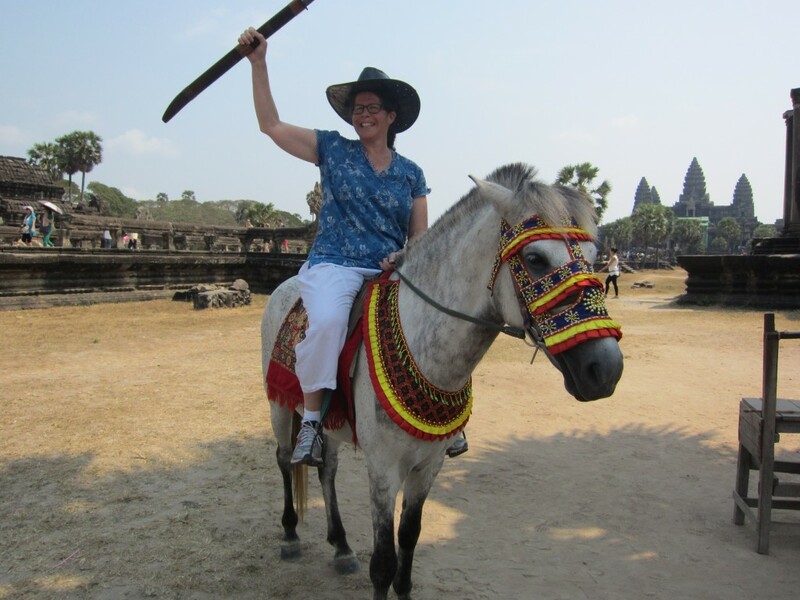 Already wanting to go back, she said Cambodia was an easy place to travel, where she felt protected and welcomed. 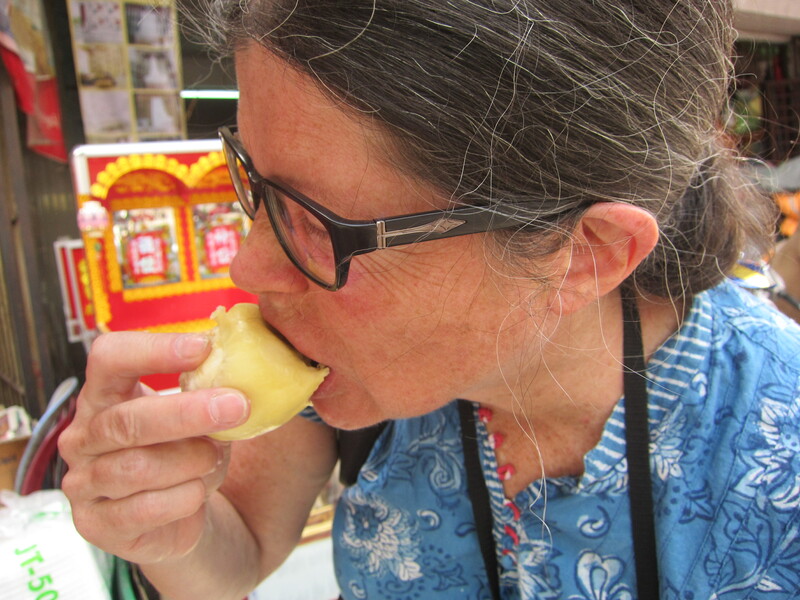 Accepting U.S. dollars even in the villages, Silberner tried some Cambodian delicacies including a large spiky fruit called durian. Seafood is their main staple, which Silberner said was delicious, but she decided to pass on the fried tarantulas and fetal eggs. Not sure yet how or when she will present the information she found in Cambodia, Silberner is currently in London giving a series of lectures on global health reporting to high school and undergraduate students, and also to the London School of Hygiene and Tropical Medicine. I think calling her a world traveler is a bit of an understatement!